I am colored red, blue, and yellow and every other hue of the rainbow. I am thick and thin, short and tall, I can eat a hundred sheep in a row and still be hungry. What am I? A woolen rug. (Riddle from Brisingr, Book 3 of the Inheritance Cycle). 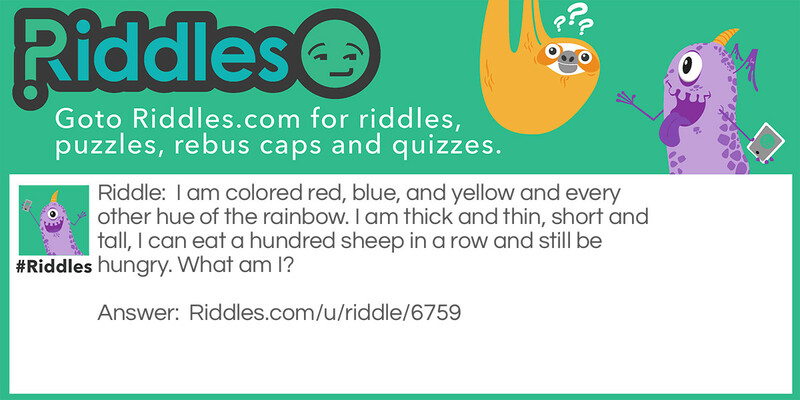 I am not a Dragon Riddle Meme with riddle and answer page link.